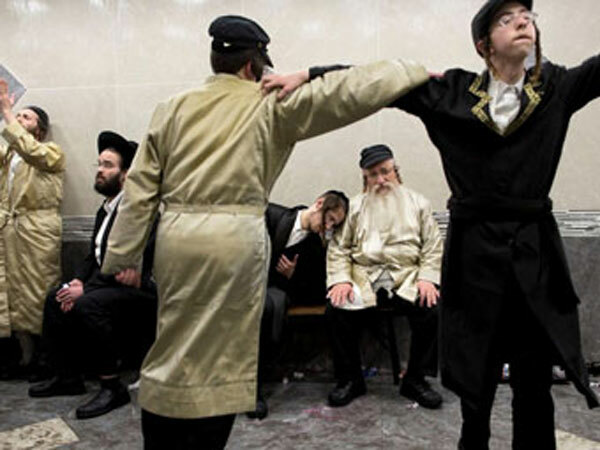 Jewish men dancing and celebrating Purim on the streets. Purim for the year 2008 is celebrated/ observed on sundown of Wednesday, March 19th ending at sundown on Thursday, March 20th. Thursday, March 20th is the 79 day of the 2008 calendar year with -11 years, -1 month, -2 days until Purim 2008.